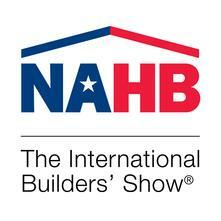 Home>Promotion>We’re Heading to the NAHB International Builders’ Show! International Builders’ Show The International Builders’ Show (IBS) is the world’s largest annual light construction show in the world. It is being held from 22 Jan. to 24 Jan. at the Las Vegas Convention Center. Thetford Residential will be one of the hundreds of remodelling, renovation and construction professionals presenting the latest industry products and tools. We are so excited to be part of the IBS. We’ll be in Booth N2466 on the north side of the Convention Center with all the latest Thetford Residential products! But we’re not just excited to show you what we have to offer, we’re also excited to see what else is happening in the industry. That’s one of the best things about the IBS: all the exhibitors get to learn new tricks of the trade from other professionals. So if you’re at the NAHB International Builders’ Show this month, please visit our booth to say “”Hello!”” We look forward to seeing you! If you have any questions about the Thetford Residential product, please don’t hesitate to contact us today.